Agriculture and hunting land for sale with multiple road fronts. This farm is loaded with wildlife. Perfect for the outdoorsman looking to own his own income producing hunting land. Whether you are seeking an affordable hunting spot full of wildlife, or a home site on a quiet road with little traffic and plenty of privacy, this offering is for you. This beautiful farm is located off Hardee Road in Enfield, North Carolina. There is approximately 13 acres of tillable land, including two secluded pastures on the backside, accessed by trails that are perfect for multiple types of hunting. There is roughly 20 acres of timber in regrowth. There is plenty of room for tripod stands and shooting houses on the wood lines, field corners for two man ladder stands you and a loved one can enjoy, and a ditch line to the south to hang a bow stand from in that dark wooded area a mature buck would travel. Locals have seen multiple mature bucks in the area. Electric utilities are already on site. This farm would look great with your dream home sitting on it. Access to I-95 is within 5 minutes to this property. This allows for a 20-25 minute straight shot north to Virginia, Roanoke Rapids and Lake Gaston. into your browser and then click on any of the icons to see photographs taken from those exact locations as well as photos taken from the air. 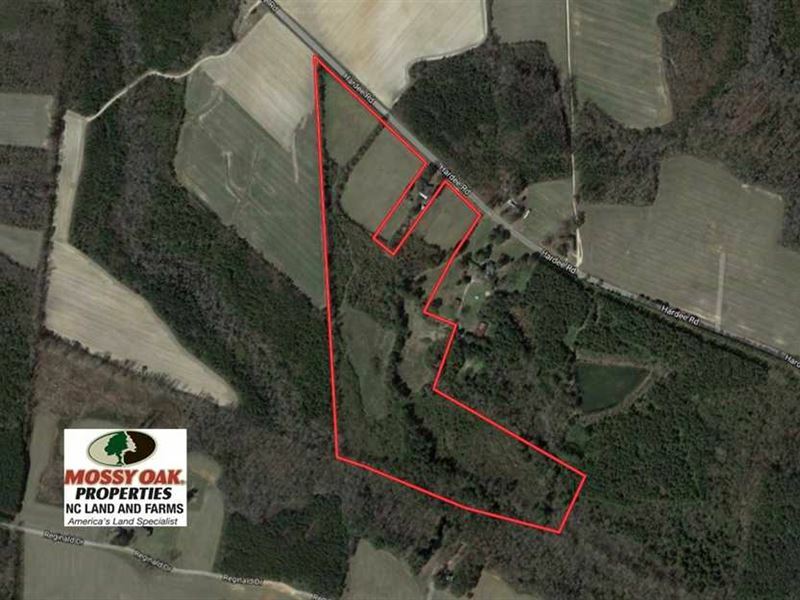 For more information on this and other Farm and Hunting Land for Sale in Halifax County NC, contact at , by email at Email listed above, or visit Nclandandfarms/. Com.